The mixer below went off to Spain a few weeks ago to be the workhorse of a plant that produces biscuit dough… this over 30,000 lb machine is enormous! 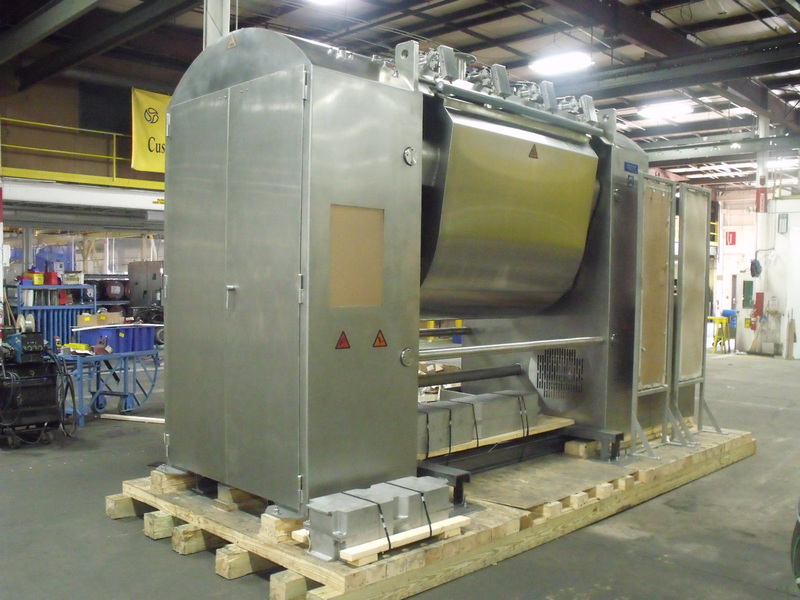 Below is a photo of the machine prior to shipment! 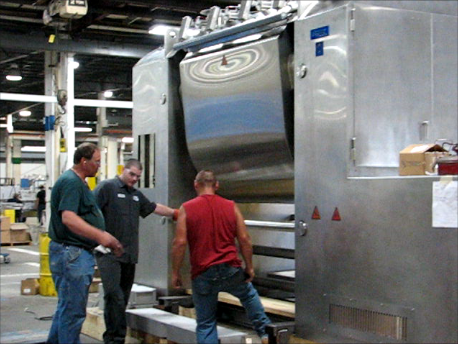 We call these machines SDs – for single sigma agitators – read more about SD mixers here! Below is a quick photo of a couple of our guys working on the machine – just so you can get a sense of how tall the machine is – 9 feet tall and 16 feet wide! WOW!! !